With pianist Gema García Grijalva, 2019. With the Boston Pops, June 1998, Symphony Hall, Boston. 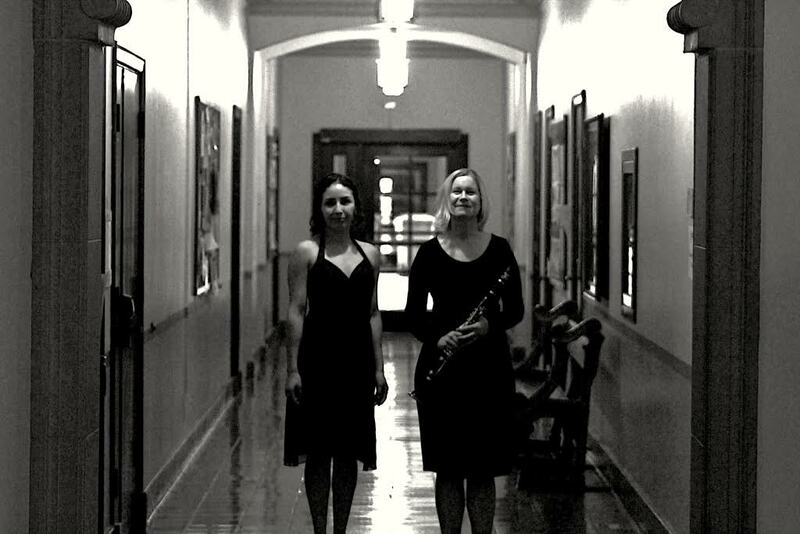 Alice Gallagher is a solo, collaborative, and teaching clarinetist. Gallagher made her solo debut with the Boston Pops Orchestra at the age of eighteen as the winner of the Boston Symphony Orchestra Concerto Competition. A Juilliard graduate, she has performed as well as guest soloist with the ensembles of Gordon College, University of Wisconsin-Milwaukee, Concordia University-Irvine, and California State University-Fullerton.
. As a recitalist, Ms.Gallagher may be heard in and out of the concert hall. She has given community concerts in libraries, churches, schools and town halls, and while studying at Juilliard, Ms. Gallagher was a recipient of Juilliard’s Gluck Fellowship, performing at hospitals and rehabilitation and assisted living facilities. Chamber music projects are ongoing in Southern California and the East Coast, with groups combining students and professionals working together for a new collaborative learning experience. Ms. Gallagher has extensive orchestral experience. Currently a clarinetist for the La Jolla Symphony, Alice Gallagher has also substituted for The Boston Modern Orchestra Project and the New World Symphony. She was a fellow at the National Orchestral Institute. ​ After finishing her Master of Music degree at California State University-Fullerton, Ms. Gallagher has focused on teaching at the postsecondary level, and her pedagogical style is engaging and personal, with an emphasis on helping each of her students to grow not into merely capable and accomplished clarinetists but consummate, sensitive musicians and independent, creative thinkers.